The old saying is true. Not all heroes wear capes. Sometimes they wear coveralls. When the temperature drops below -25◦C, the furnace is out, and a pipe bursts in your wall, Iron Man isn’t going to save you. McKinley is. McKinley Heating, Air Conditioning & Plumbing, a Service Experts Company, can’t say no to a service call, and not just because that’s a company rule (it’s not), they just don’t want to. They don’t want you to be cold, uncomfortable, suffering from no hot water, breathing improperly filtered air, or roasting in your home with a broken air conditioner. Even when the phone rings off the hook with frantic calls for service when the weather turns, they don’t say “we’re too busy,” they say “yes” and they dash off to save the day. 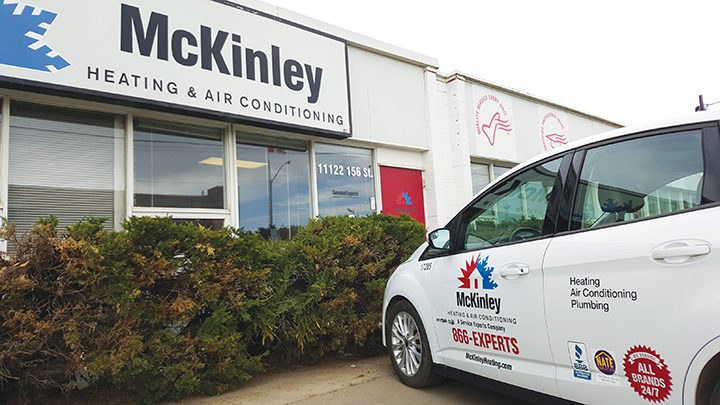 The company ownership group, management team, staff, installers, service technicians, residential sales consultants and the administrative assistants all feel the same sense of urgency to give the city the McKinley experience it deserves. To understand why the McKinley team cares about you so much, we have to go back in time to the late 1940s. World War II is over. Like many men his age, Tom McKinley is looking to make his way in a post-war world. There’s not a lot of work out there, so he does the next best thing: he starts his own business selling sheet metal. Every day he takes his phone and stretches the cord clean across from his house to the nice lady’s window next door, who answers the phone as his receptionist. Conducting business from his garage, Tom McKinley was innovative and persistent from the very start. 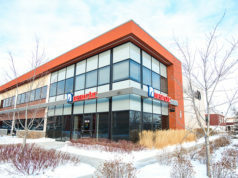 The company grew and branched out into other ventures, include servicing. In the late 60s, the company is divided and sold. 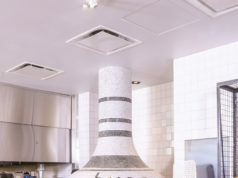 The sheet metal division sold to a gentleman named Marco and the service division sold to Roly Baron, father of current general manager Brian Baron. Brian would join the company in 1973. When his father entered semi retirement, Brian and his brother purchased the company and expanded its residential division. Then along came 2001 and everything changed. McKinley would be owned under this banner for the next 10 years, until Lennox expanded again to become North American Service Experts to accommodate both the Canadian and American markets. Like founder Tom McKinley, Brian continues to approach the business with an entrepreneurial mindset. The ‘old pilot’ is not without his moments of whimsy. When he’s not making sure McKinley clients are safe, warm, and comfortable in their homes and workplaces, he’s working on his collection of vintage Bombardier snowmobiles. At one point, he had the largest collection of vintage racing snowmobiles in Canada. This year marks an important milestone for the company; 1968 was when Baron Sr. bought McKinley. 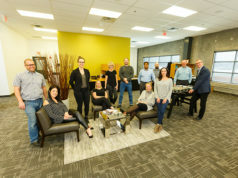 With 50 years on the clock, the company is evolving under its recent acquisition by a 100 per cent Canadian-owned corporation that has a drive to increase HVAC services across North America. Growth is on the horizon – again. But, as Brian points out, the size and success of the company is not what drives them. The focus will continue to be on each individual customer, and on giving those customers the service they deserve. Brian, the management team, and the ownership group say a very big thank you to founder Tom McKinley and his tenacity in launching a company during those lean post-war years, to Henry van Ziegler and the other company owners that provided steady work for the McKinley team during the company’s early days, to Baron Sr. and the family members that bought and grew the company, to the hardworking staff, and most of all, to the customers the team loves to get up and work with every day. “This trade is not glamorous,” concludes Brian as he and his team suit up in their capes – ah… workwear – for yet another day of furnaces, filters, hot water tanks, and pipes. The smiles on their faces betray that glamour is not what drives them, it’s customer service, and at that they always excel.